The checks and balances that were supposed to contain Duntsch failed utterly. His medical school licensed him but didn't require the preparation necessary to instill competence. Hospitals suspended him but didn't report him. The medical board could do nothing without forms filed against him. Patients were left without recourse. That's why when it came to our system of government, the founders were so focused on creating gridlock. They recognized that in a system in which legitimacy sprang from popular support, the easy path to perdition lay in popularly backed centralized power -- tyranny could spring just as easily from a popular majority as from a king or despot. The founders didn't trust individuals with authority, and they didn't trust human beings to delegate authority to mere individuals. The majority of Americans always want action, on some grounds or others. That leads to an eternal drive to grant unchecked power to some institution of government. As Alexis de Tocqueville writes in his 1840 "Democracy in America": "It may easily be foreseen that almost all the able and ambitious members of a democratic community will labor without ceasing to extend the powers of government, because they all hope at some time or other to wield those powers. ... Centralization will be the natural government." We're now seeing the consequences of such centralization on two separate fronts: the president's authority to declare a national emergency and the FBI's investigations into the president. Proponents of President Trump would like to see power centralized in the presidency; antagonists of President Trump would like to see power centralized in the FBI. 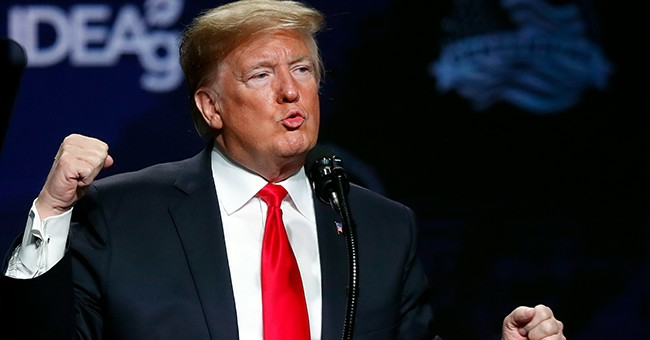 President Trump's allies seem eager for Trump to declare a national emergency in order to appropriate funds for a border wall. The law cuts against such a declaration: The National Emergencies Act was written to curtail presidential authority, not increase it. No matter how much border hawks (including me) want a border barrier, the proper method is to request funds from Congress. Meanwhile, President Trump's enemies are celebrating reports this week that the FBI investigated Trump as a possible Russian agent after his firing of then-FBI director James Comey. Trump had authority under the Constitution to fire Comey, and there's no actual evidence that Trump is an agent of the Russians. But Trump's enemies want the legislature to step in and attempt to protect the FBI from executive branch checks on it. All of this is foolish. It's good that the legislative branch checks the executive branch, and it's good that the executive branch must remain in control of executive branch agencies. Here's the easy test: How would you feel if the situations were reversed? How would Republicans feel about an emergency declaration from a Democratic president to shift funds to leftist priorities? How would Democrats feel about Republican attempts to seize control of the FBI for purposes of investigating a Democratic president?